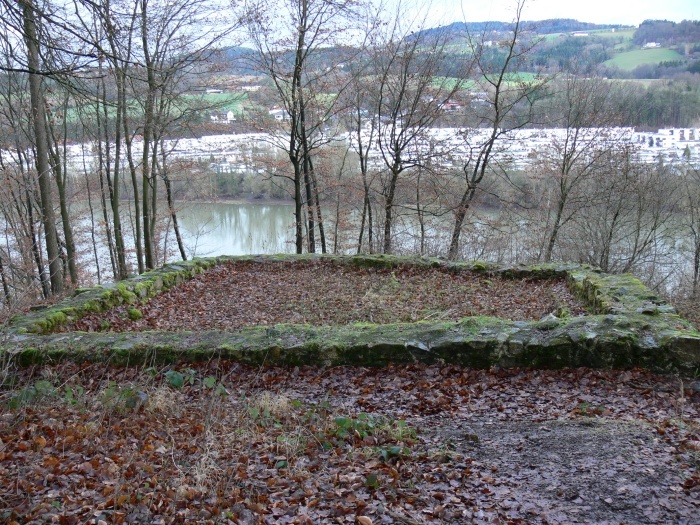 The foundation of a stone watchtower is preserved on a rock spur in the Kürnberger Wald where the Hirschleitenbach flows into the Danube. The terrain falls steeply northwards to the Danube, where the granite massif of the Böhmische Masse creates a narrowing of the Danube valley. 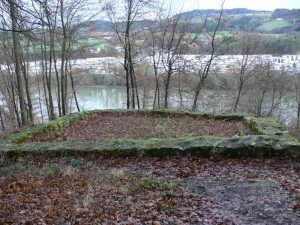 The prominent location provides a far-reaching view of the north to the fluvial plain around Puchenau and all the way to the Ottensheimer Becken in the northwest. The watchtower is sign-posted and can be reached via a small hike path. The tower, which is surrounded by a wide bank and a ditch, had two construction phases. The earlier tower was expanded in late antiquity to a size of nearly 10m x 10m. The entrance can be recognized on the south side, the site of a hearth was recognized during the excavations. The history of the monument and the research activities are explained on two information boards.